I’ve always wanted a puppy as a kid, but my mom was not having it. However, one of the advantages of being an adult is that you finally get the opportunity to get ALMOST everything you ever wanted, so I did. I introduce to you my very first pup, Barkley! Research, research, and more research is a big part of buying a puppy for the first time. Whenever I’m committing to buying a large and important purchase I always make it a priority to find as much information as I possibly can. One of the biggest decisions my Fiancé and I made was whether we wanted to buy from a breeder or buy from one of our local pet stores. The pet store won. We spent weeks researching, visiting every nearby pet store, walking into animal shelters, and speaking with different breeders. One day, we noticed online that one of the local pet stores had a Yorkie that was available (a breed we were interested in). So we made our way there and before we were able to see the Yorkie I laid my eyes on Barkley and it was love at first sight! Through all of my fear and doubts (because I hate making big decisions, that can ultimately be life-changing) we took home Barkley! Within the three weeks of us having Barkley in our home, he has acclimated very well. He has showed us tons of love and we have returned it ten times more. Barkley loves running around, chasing after his tennis ball (or us haha), and playing with any of his other seven toys. He also spends lots of times cuddling on top of our feet and falling asleep. In the end, I’m so happy that Barkley is a part of our family and I wouldn’t trade him for anything. Dog Food – Depending on where you buy your puppy, you may need to purchase some dog food. Make sure to read the labels, most dog food is catergorized by the size of the dog. A Crate – Some people cringe at the idea but it really helps with the training your new puppy. It’s a lifesaver! Toys – Puppies are like babies, they want to chew on everything so those squeaky cute toys really help them out. Treats – It’s extremely important to recognize your new pup’s great behavior when training with tasty treats, and lots of love and praise. 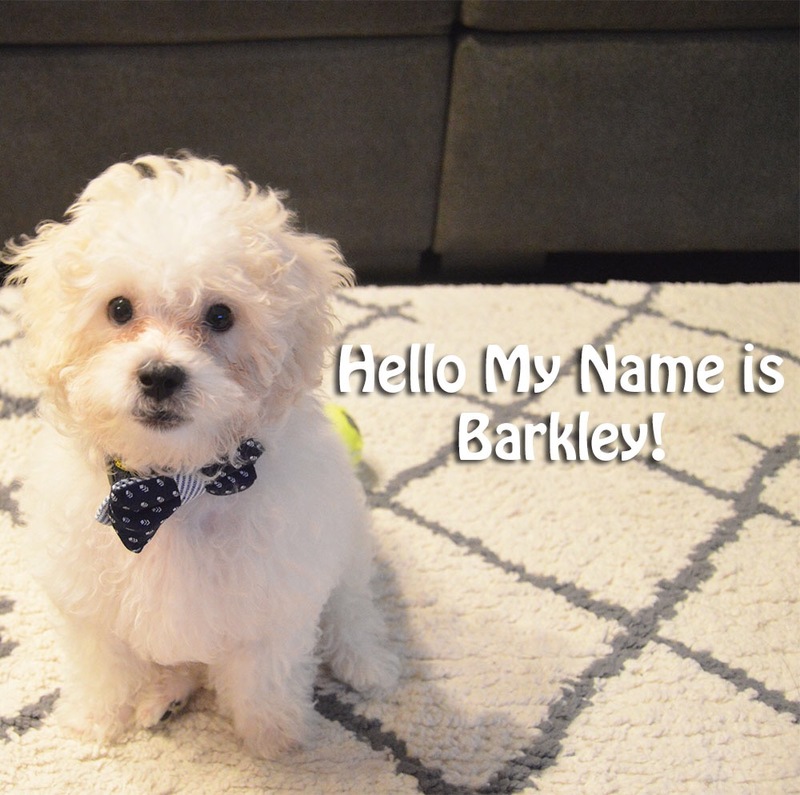 Bow Tie – Puppies like to look good too! Let your pup live in just as much style as you! Let me know if you have any questions regarding buying a puppy, I’ll be happy to help!